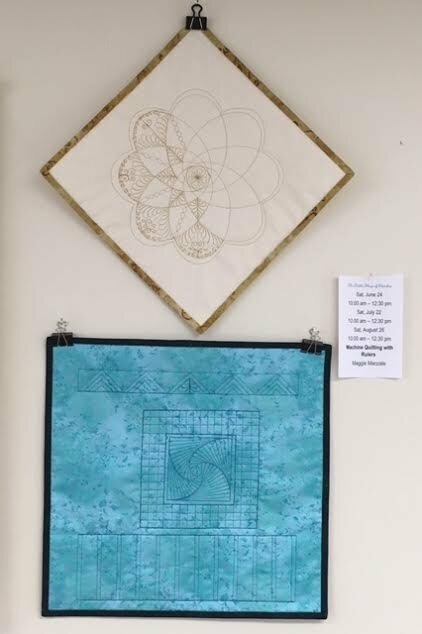 Come join the fun exploring the world of machine quilting and ruler work. You will be amazed at the professional look you can get with the use of ruler templates and a ruler foot on your home sewing machine. In this month's class, we'll use a set of oval rulers, and we'll play with the ruler's endless possibilities. Ruler work will open up a new door in machine quilting that is exciting, fun, and easier than you may think!